Rev. Macomb offers interfaith counseling. Couples of mixed faiths sometimes need help navigating interfaith issues that arise between themselves or extended family members. This is done with respect, sensitivity and openness. We begin my listening, without offense or defense. Options are presented and discussed. Susanna's approach is both spiritual and practical. Rev. 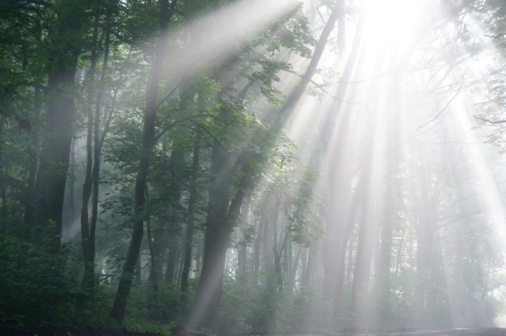 Susanna has been teaching meditation for over 30 years. Expectant mothers benefit greatly from meditation and energy healing as a part of their self-care regimen. Meditation also helps parents release the anxiety and stress that comes with caring for young children. 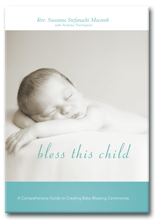 Bless This Child is the most comprehensive guide to creating personalized baby ceremonies available. Modern, relevant and global, Bless This Child, is an excellent resource for interfaith, intercultural families and the clergy and humanist celebrants who serve them. View details on Susanna's newest book.